Cultural differences increasingly impact our everyday lives. Virtually none of us today interact exclusively with people who look, talk, and behave like we do. David Smith here offers an excellent guide to living and learning in our culturally interconnected world. 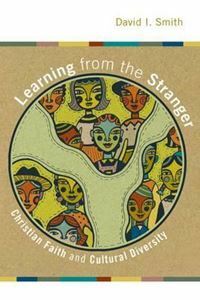 / Learning from the Stranger clearly explains what "culture" is, discusses how cultural difference affects our perceptions and behavior, and explores how Jesus' call to love our neighbor involves learning from cultural strangers. Built around three chapter-length readings of extended biblical passages (from Genesis, Luke, and Acts), the book skillfully weaves together theological and practical concerns, and Smith s engaging, readable text is peppered with stories from his own extensive firsthand experience. / Many thoughtful readers will resonate with this insightful book as it encourages the virtues of humility and hospitality in our personal interactions and shows how learning from strangers, not just imparting our own ideas to them, is an integral part of Christian discipleship."